For all those dog lovers out there, who could resist this dog themed card? 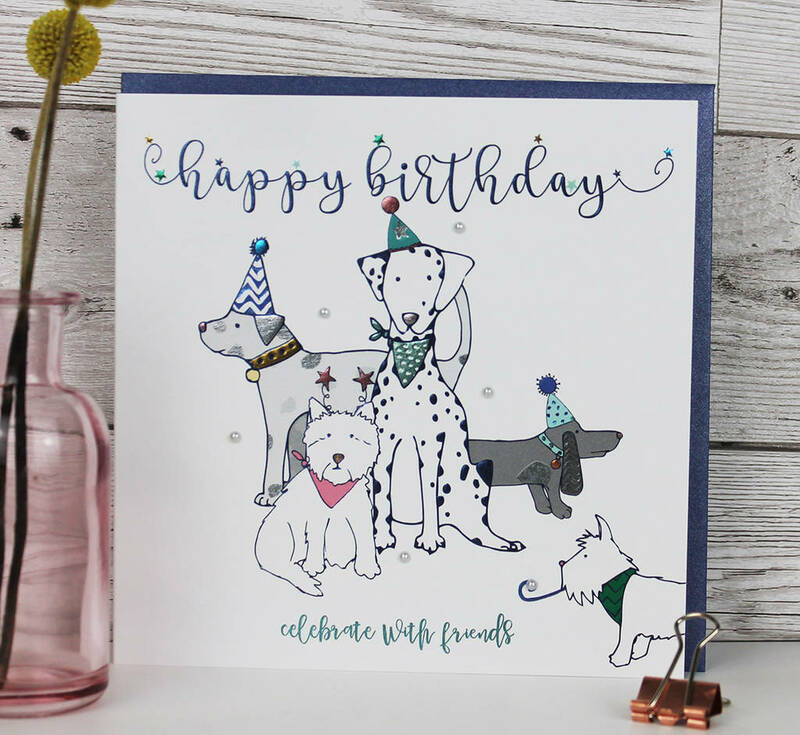 This charming card features a gorgeous group of pooches all ready to celebrate in their party hats! 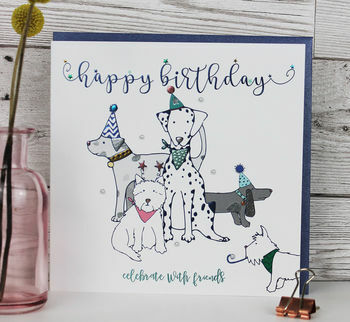 Whether you love a Dalmation, a Scottie or a Dachshund this card has something for everyone. Gorgeous metallic silver, bronze, blues and greens really bring this card to life with embossed detailing for added texture. Elegant calligraphy lettering and hand finishing with pearl embellishments make sure this card will really stand out from the rest. Supplied with a superior quality sapphire blue pearlescent envelope and label. Designed, printed and hand finished in the UK.